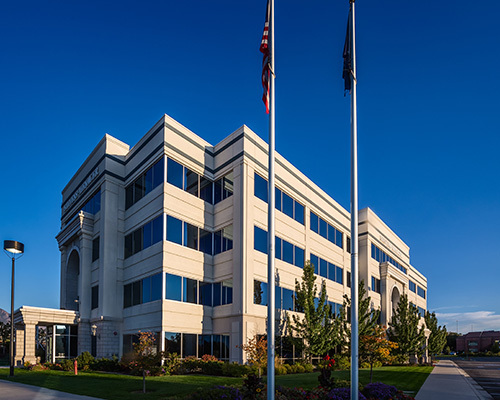 An I-15 landmark, the Murray (Salt Lake City) campus of Stevens-Henager College is home to the Good Neighbor Initiative’s no-cost GED® test courses in the greater Salt Lake area. Our flagship campus provides all the necessities, so you can study and prepare to earn your GED® test credential fast. Call us today to learn more, or visit our campus for a tour! Jack Ballard taught in the GED department at a small college in New Mexico while coaching women’s basketball there. Prior to his travels in three states coaching college basketball, Jack taught high school social studies here in the valley for almost a decade. He and his family moved back home to Utah in August so that their three young boys could finish school at home and grow up around their family. Jack holds an MBA from Western Governors University and a BS in Political Science and Economics from the University of Utah. "As a high school dropout, I was scared and confused about how I would ever go back to school. The classes helped me prepare for earning my GED® test credential. It was quick and easy, not to mention 100% no-cost! I’m now working toward my dream career."